Over the last ten years, Franconia Conference has released over $500,000 through the Missional Operations Grant (MOG) fund. These grants are tools that help instigate and cultivate missional initiatives connected with our Conference and congregations. 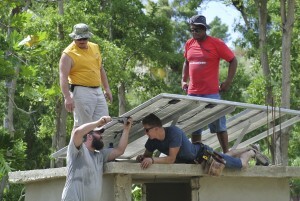 They’ve been used broadly over the last decade to cultivate ministries in our local congregations and around the world from India to Indonesia to Mexico and the Caribbean, even assisting in the cleanup after Hurricane Katrina. As staff work with congregations developing ministries to further the mission and vision of the Kingdom of God and Franconia Conference, they are able to help resource these initiatives with MOGs. Our last staff meeting involved a spirited discussion how to best continue to implement and inform the use of this significant tool justly, fairly, and openly across our congregations. Congregations are able to apply for MOGs and with the blessing of the LEADership Minister and congregation leadership these applications are passed on to the Ministry Resource Fund Grant Committee. The MOGs approved by the committee focus on ministries within conference congregation or partnerships between congregations and other organizations/ministries. The projects funded are intent on mutuality, rooted in considerations of justice, building on strengths, and calling forth new and next-generation leaders. 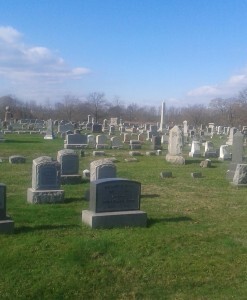 To see a list of the projects funded in 2015 visit the MOG tab at: http://franconiaconference.org/mission/stewardship/. Last year, due to a change in allocation of funds in the account (reduced from 20% to 10% of total available dollars), there are less funds available causing us to be more strategic this year with the reduced dollars. Already this year 8 MOG grants have been approved mostly to our urban congregations (keep your eye on the MOG webpage at FranconiaConference.org for coming testimonies). With our average grant amount coming in at approximately $4000, we have only enough left in the fund this year to grant possibly two to three additional requests. We’ve capped the requests this year at $5000 per congregation with only a single disbursement likely. Grants are requested through an application process that should be done in consultation with the congregation’s LEADership Ministers and then approved by the Ministry Resource Fund Grant Committee. 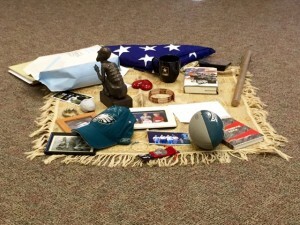 More information can be found on the MOG tab at: http://franconiaconference.org/mission/stewardship/. The grants allow the Conference and LEADership Ministers to assist in funding creative spaces for our churches. The return on investment of these funds is high though the initiatives themselves don’t always seem successful in a traditional sense of understanding. The grants invite our congregations to take risks for the sake of the dream of God. We trust the outcomes into God’s hands. Most MOG funds are sourced from estate bequests and contributions from the revenue from Conference-owned properties. This year we are expecting to receive an estate gift that will likely allow an increase in available funds for next year. If you’d like to help boost our ongoing capacity to instigate missional initiatives now and into the future, I’d be glad to talk with you or your congregation. You or your congregation are welcome to donate specifically to the MOG Fund as well. This is important and generative work. It’s a glimpse of the good that comes when we can share the labor together in times of opportunity and possibility. We still work and hope. And we trust in the power of Christ to take our work and multiply it for the sake of the world. PPMI sponsors 28 pastors, five of whom were commissioned in 2015. There is little to no opportunity for Biblical, Theological, or Leadership training in the rural villages of India. 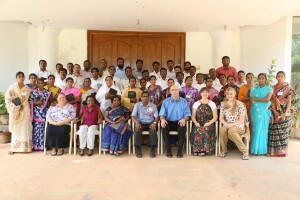 Therefore, PPMI provides a conference in Hyderabad, India where pastors gather to learn and support each other. For the past 4 years the pastors’ wives have also been included in this equipping opportunity. 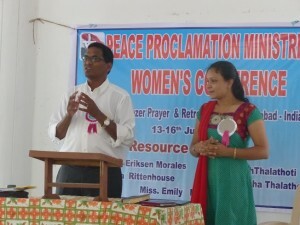 The Missional Operations Grant received by PPMI aided in making the 2015 conference a possibility. Perkiomenville Mennonite Church has shared a partnership with Pastor Bob Stevenson and the Monte Maria Church in Mexico City for years. The congregation has enjoyed yearly trips where they are able to experience cross cultural missions that are personally enriching and expands the vision of ministry in the Perkiomenville community. In the summer or 2015 for the first time someone from Monte Maria was coming to Perkiomenville. 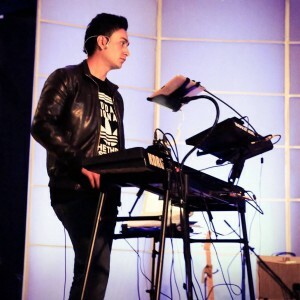 Tony Reyes is a young man from Monte Maria Church is a gifted pianist, songwriter, music producer, and ministry leader. Franconia Conference’s Missional Operations Grant provided for Tony’s expenses as he lived and worked with Perkiomenville Mennonite Church, Project Haven, and Urban Expressions. 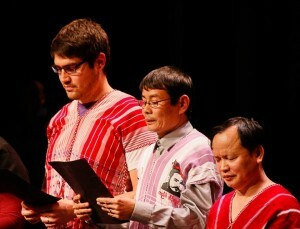 During his time here, Tony was able to learn leadership skills, improve his English speaking abilities, and equip him for ministry. 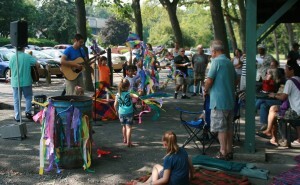 Read more about how Tony’s ministry with Perkiomenville here. As more and more young men and women return home from war, the Mennonite church is faced with more of those people entering their congregations. As a peace church should we not be working toward helping all people find peace, including our veterans returning home from war? Salford Mennonite Church and Spring Mount Mennonite Church partnered with Peaceful Living and Veterans Community Network to offer a training for those interested in learning more about the trauma veterans and their families face, the stages veterans move through as they prepare for deployment and return, and the spiritual impact of war. A Missional Operations Grant was given to aid in covering the cost of this training as the conference works to be a place of hope and healing. Read a reflection on the training by Pastor Chris Nickels at Spring Mount Mennonite Church here. As a peace church that speaks out against, acts against, and prays against violence, But as the men and women who experience that violence return home, our mandate grows to include helping them find peace and healing. 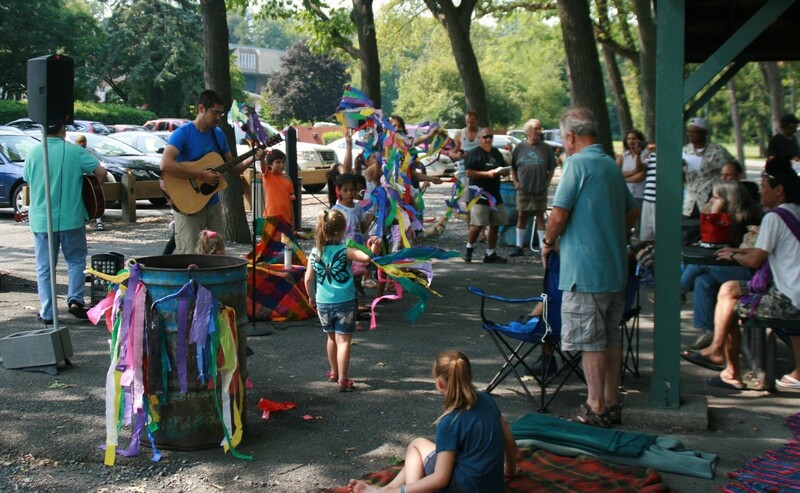 Garden Chapel has a thriving children’s ministry that has grown out of their flourishing summer camp, community garden club, and a music ministry with community children. As more and more children form the community have become involved in the church there is a growing need to connect with their parents who are largely Spanish speakers. 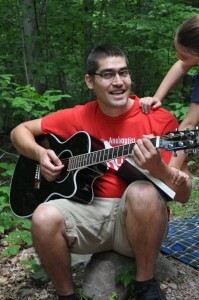 The Missional Operations Grant provided by Franconia Conference to Garden Chapel is to support he congregations partnership with local pastor, Hector Quinones, who has a heart for the immigrant community. In addition, the grant will provide leadership and intercultural training, written materials in Spanish, aid for bi-lingual service and to support a monthly Spanish service. work ethics through Christian principles. 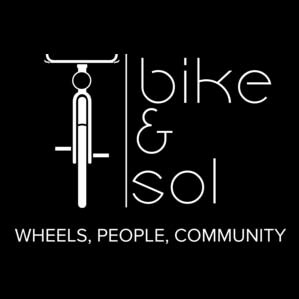 Bike and Sol recycles bicycles and then sells them as well as services bicycles in the community through its service center. 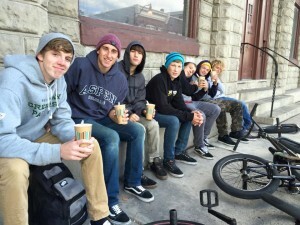 You can visit the bike shop which is located behind the Upper Perk Community Life Center. The Missional Operations Grant provided by Franconia Conference assisted with start up costs, funding a bike shop manager and the start up costs of parts and marketing. 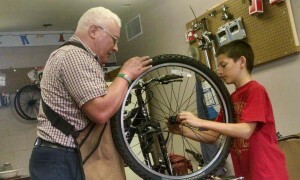 Perkiomenville Mennonite members donate to the bike shop and to have their own bikes repaired. 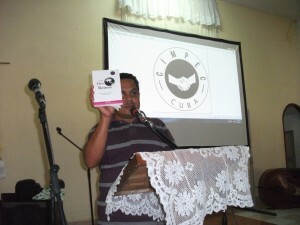 Pastor Angel Cordero, president of CIMPEC. In 2015, Franconia Conference provided a Missional Operations Grant to assist Nueva Vida Norristown New Life in a partnership with CIMPEC (Cuba’s national pastors’ and ministers’ association). According to CIMPEC president, Pastor Angel Cordero, 70% of the pastors in Cuba have never attended a Bible school or seminary. This MOG was able to assist in providing 6 days of training for these pastors.